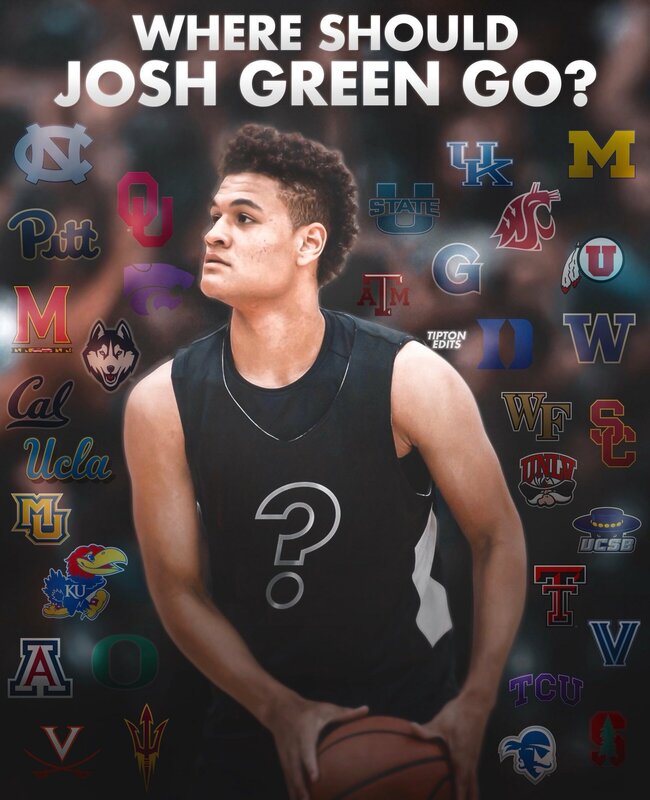 5-Star SG Josh Green will be releasing his top 6 schools list tomorrow. Arizona will be on this list. It'll be interesting to see how many of the same teams he'll have as Nico Mannion besides UofA. I would bet Arizona, Villanova, and Marquette will be in common. Well, the ONLY school that would matter to US, is going to be on the list. That would be VERY good news for us if everything holds true. I would also bet my last dollar that Duke would be on that list. IF Green matches Nico’s Top 4, you can bet the other two teams are just distractions. I don't belive duke offered josh green but unc didn't offer nico I bet unc ends up on greens list. UNC needs to get the death sentence for athletics. 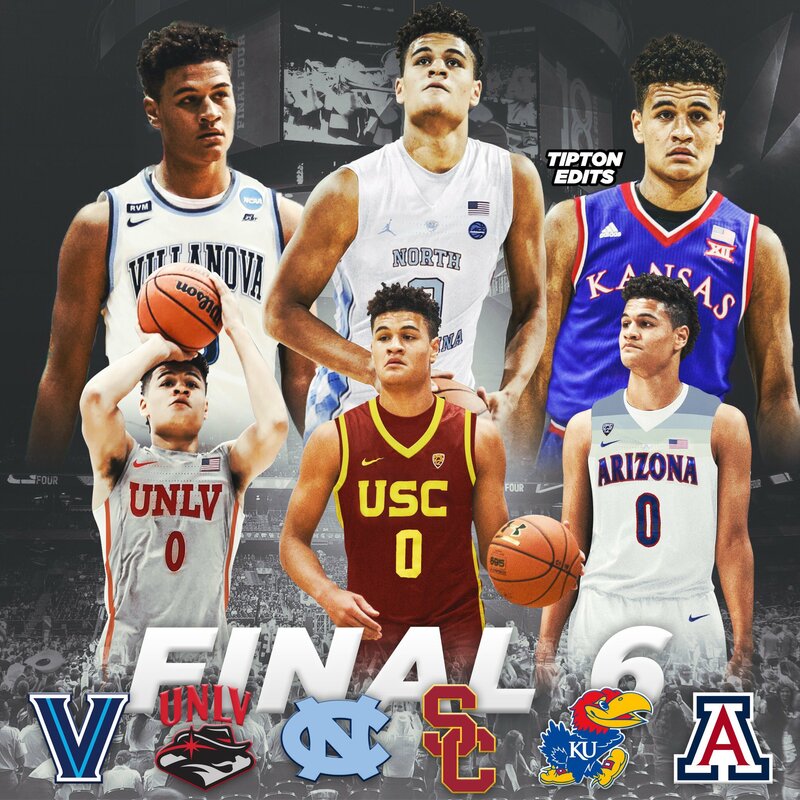 Recruiting anylists seem to think UNC is the favorite but we will see think Arizona has a good shot. Makes that 247 prediction pick to Villanova APPEAR to have some legitimacy. If I had to choose, right now I’d bet against these two playing college ball together. We will find out nico an josh both have 2 teams in common we will find out I am hoping they do wanna play together at arizona if not I prefer we get nico more because we need strong point gu. For next year. Are you implying that we would be losing Williams to the NBA? Or that you aren’t trusting Barcello to be a serviceable backup PG for us as a junior?